Sitting: Adam Wolfenbarger, Darren Goen, and Amanda Goen. Standing: Brian Lawhon. Darren Goen, a senior at Grainger High School, signed with Bryan College. Upon graduation, he will attend Bryan College, and he will join the Bryan College basketball team next year. 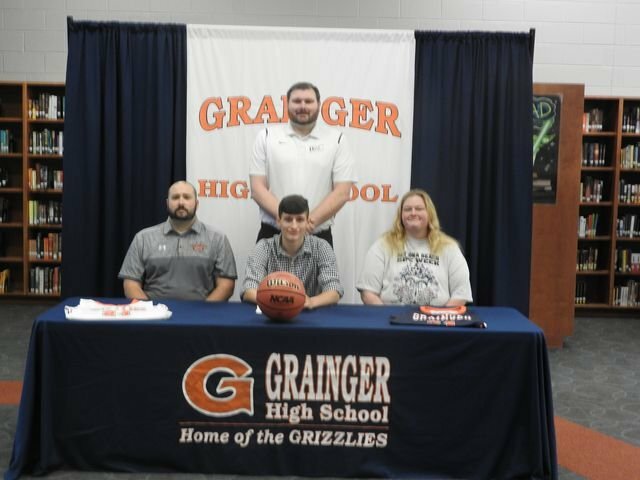 Goen is pictured with his mother, Amanda Goen, his coach, Adam Wolfenbarger, and Bryan College Coach, Brian Lawhon.